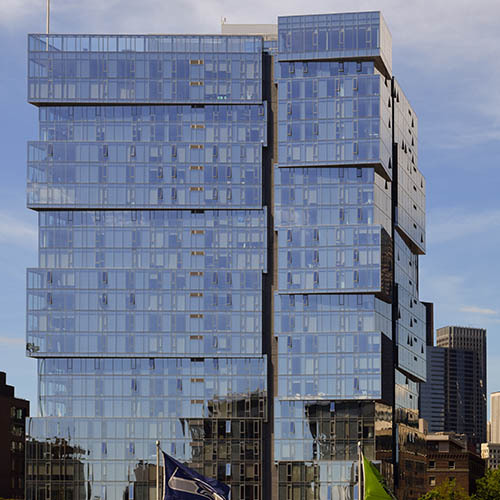 This design-build project was the new construction of three residential towers, a podium, and four stories of above-ground parking. The completed project is 877,000 SF. The structure consists of post-tensioned concrete on a deep pile foundation and is a mixed-use development. The project utilizes in-slab PEX water piping, which is all pre-fabricated as is the majority (95%) of D/W/V piping. The use of the Trimble device for in-slab MEP activities rapidly expedited the layout time while 3D modeling increased MEP coordination and productivity allowing us to forecast conflicts (of all types, architectural, structural, etc.) ahead of time and design accordingly.